The air force has some of the most highly trained fighter pilots in the whole world. There's no mission too extreme or plane they can't fly, so when good citizens are in trouble, these top gun jet jockeys are ready to swoop in and save the day! But even with all their training and hi-tech equipment, flying can be dangerous business, and the generals don't let even their best pilots get into a multi-million dollar aircraft without the right safety gear. 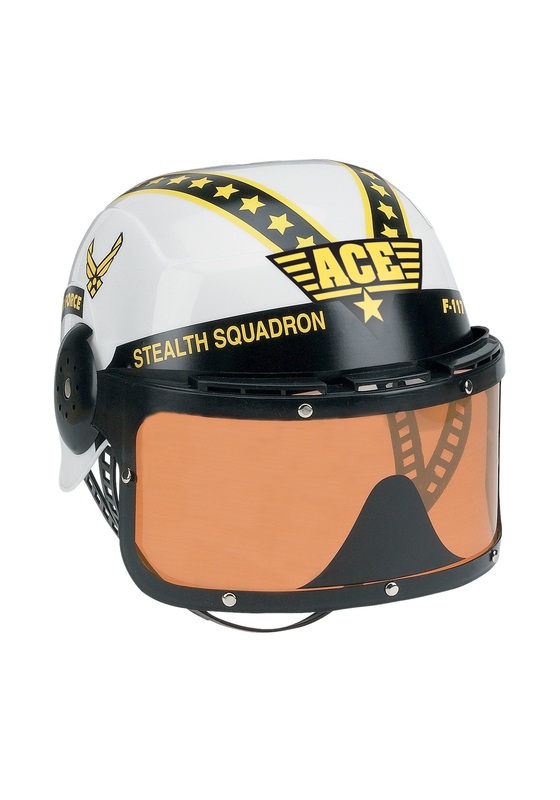 Your little hot shot fighter pilot will be ready to fly when you get them this awesome Armed Forces Helmet to go with their flight suit costume! They'll have just the look they need to zero in on any bogeys through the tinted visor, and the wicked stars and Stealth Squadron decals look like they're breaking the sound barrier! This costume helmet lets all their friends that danger can't keep a good pilot grounded!